Traditional staffing firms are sinking fast- don’t go down with the ship! As an IGNW High Value Specialist(HVS) Contractor, backed by our Solutions Team and Resourcing engine, you can get access to the most choice assignments with some of the best companies with the most interesting projects! Many enterprises today want vetted and proven individuals backed by specialized tech companies with their own track record of success in the very same technologies or solutions that their resources represent. They also don't want the headaches of trying to qualify and onboard their contingent labor workforce. As an IGNW HVS Contractor, this can also drive higher rates for you! IGNW earned the Best of Staffing® Award for providing remarkable service quality!!! Fewer than 2% of all staffing agencies in the U.S. and Canada earn this award for service excellence. 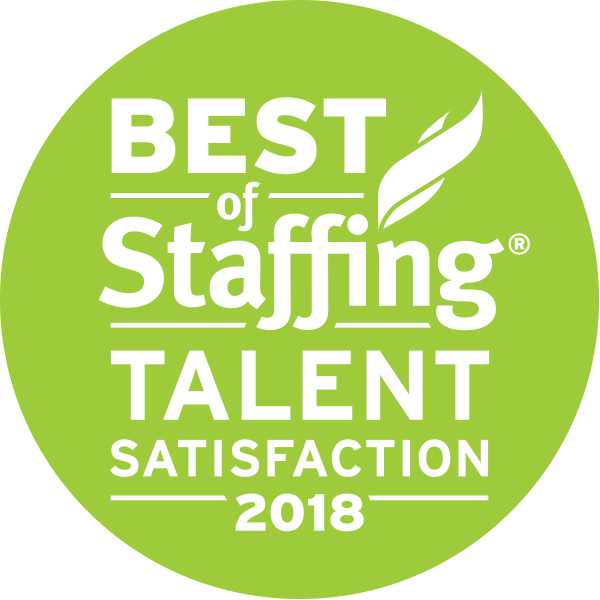 Best of Staffing winners truly stand out for exceeding expectations and this award identifies the staffing industry's elite leaders in service quality. IGNW has been very supportive throughout my contract assignment periods. The staff is fun, helpful, and eager to make the consulting world as simple and seamless as possible. I would recommend IGNW to anyone looking for contract opportunities in the Portland, OR metro area." It has been a pleasure working with all of you at IGNW. You are one of the very few agencies that treats me like a person and not a commodity, so that is appreciated." All Best of Staffing contestants went through a rigorous surveying process with Inavero, the worlds leading provider of client and job candidate service quality research for staffing agencies. IGNW earned the Best of Staffing Award after obtaining a Net Promoter® Score (a standard metric for measuring satisfaction) showing extraordinarily high levels of satisfaction. Learn more about the surveying methodology and the Best of Staffing Awards.